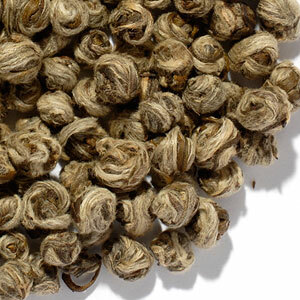 White teas are appreciated by connoisseurs for their unmatched subtlety, complexity, and natural sweetness. The most delicate of teas, white teas are minimally processed. They are simply steamed, then dried, without significantly altering the leaf. Consequently, these teas appear light and fluffy and require more room to infuse than other teas. Most brew to a very pale, straw colored liquor, hence the name, "white." Use either a large infuser or put the leaves loose in your pot or cup. 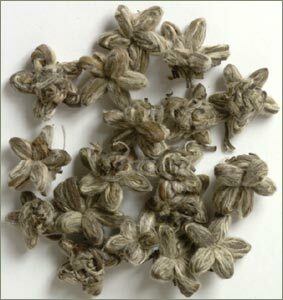 Drum Mountain White Cloud white tea is grown today on the very mountain tops where the monks of the historic Buddhist Drum Mountain Monastery grew their teas for centuries. This tea is highly aromatic with a sweet, slightly nutty and mildly fruity flavor. Use 2 heaping soup spoons per cup and steep 5-7 minutes in steaming water. Good for multiple infusions. 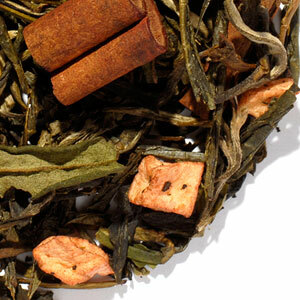 Panda Pearls is a delicious hand-rolled China white tea. 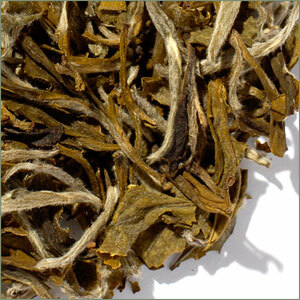 Although it looks similar to Dragon Pearls, a China green tea, it is lighter in flavor with less smokiness. It is also rolled into smaller balls. Leaves may be re-infused until the flavor is exhausted. 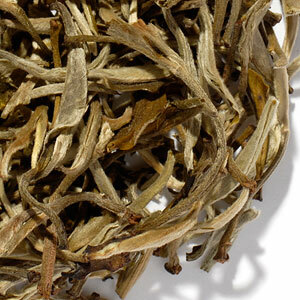 Star of China tea is from Fuding in the north-eastern portion of the Fujian province of China. Fuding is considered by many to be the epicenter of hand-made tea production. Although many gardens produce this tea, the buds from which our Star of China is made come from the Rui Yun Tea Base, one of the finest gardens in the region. Once the large leaves have been steamed and are still damp, they are hand-stitched into the distinctive 5-pointed star shape. The tea workers who stitch the tea are respected specialists, and many of their families have been making the star for generations. Only 6 tons of this tea are produced annually. This is a truly breathtaking white tea that brews to a very pale green liquor and leaves no trace of bitterness even after steeping for 15 minutes. 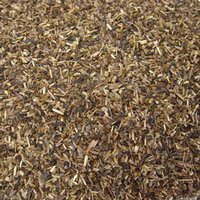 A delicate, soft, and sweet flavor with almost no astringency, it is less smoky than Snow Dragon and milder than Silver Needles. This rare tea is served at state functions in Beijing. Use 3-5 stars per cup and steep in 160-degree water for 4-5 minutes. Leaves may be re-infused once or twice. 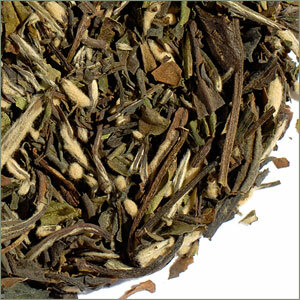 White Tea Secrets is a delicious blend of white and green tea flavored with apples and cinnamon. Light, smooth, and refreshing. Contains Sencha, Lung Ching, and Pai Mu Tan with freeze dried apple pieces, cinnamon pieces and flavoring (contains traces of dairy products). Use 1 tsp. per cup and steep 2-3 minutes in steaming water.